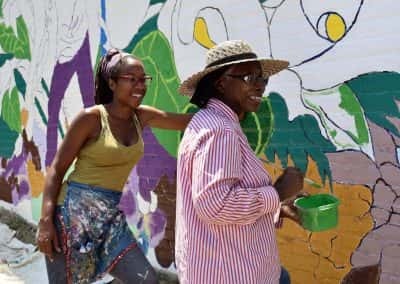 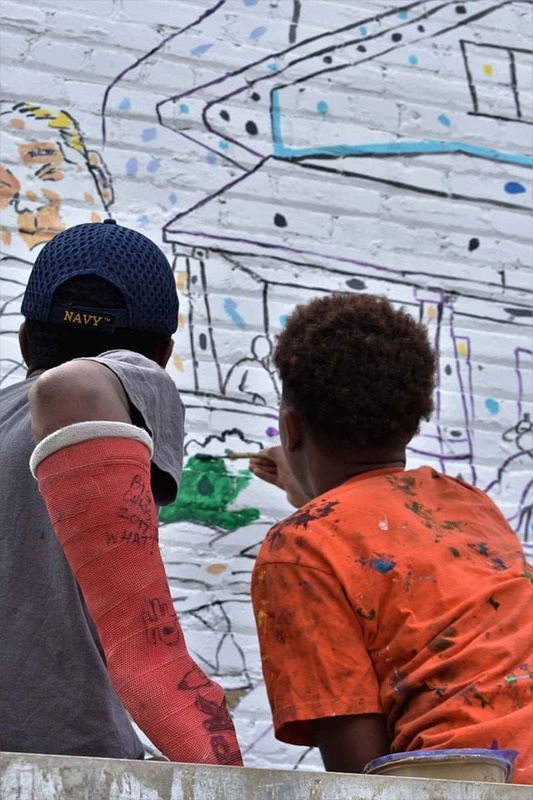 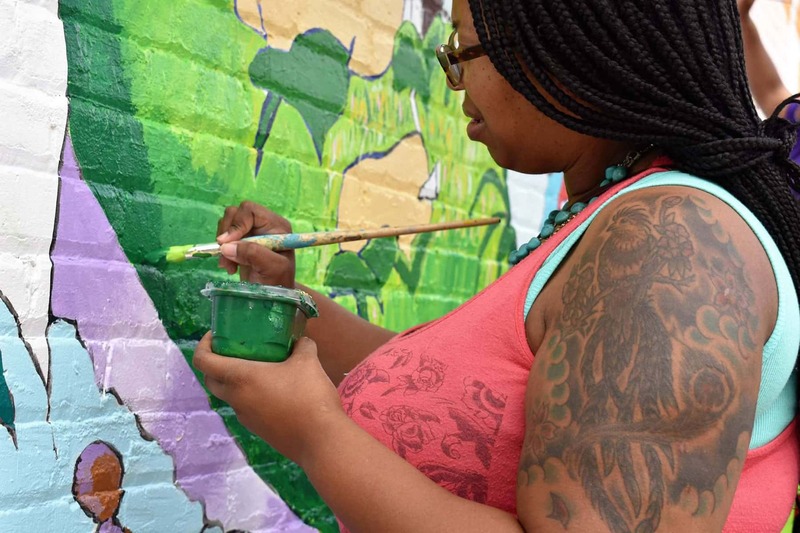 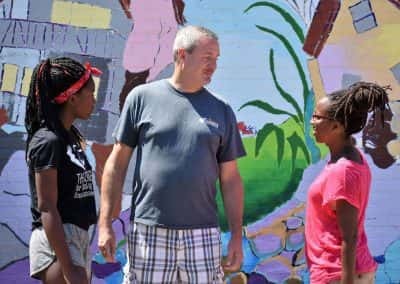 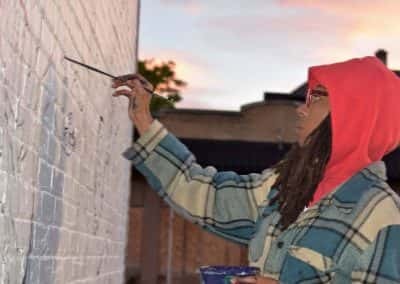 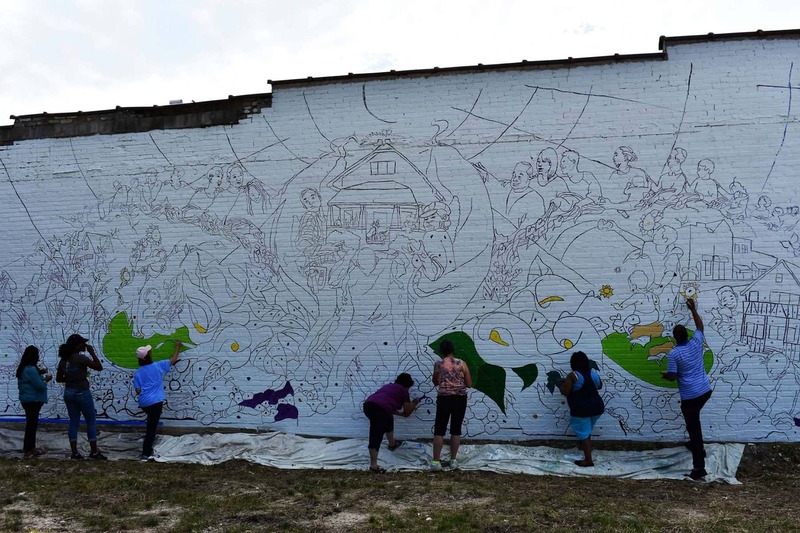 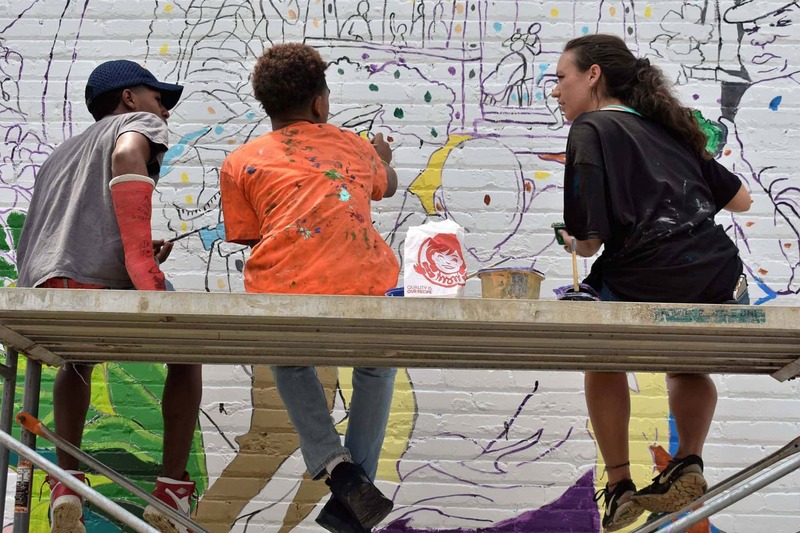 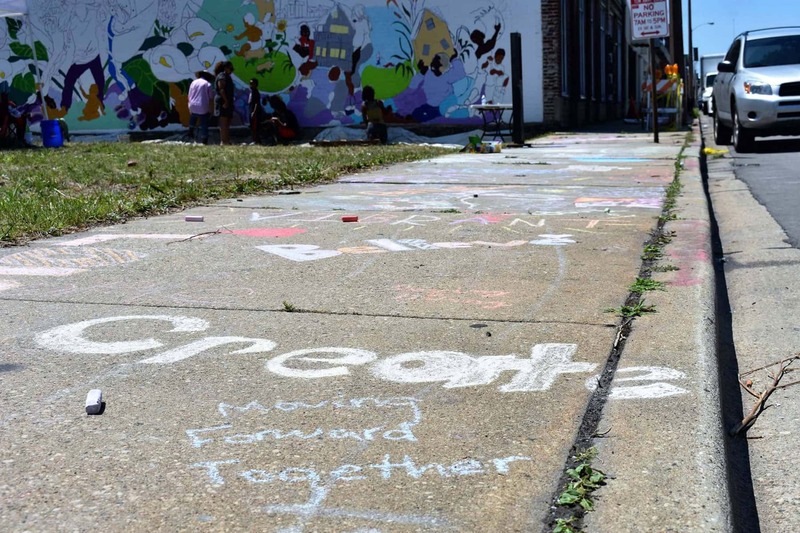 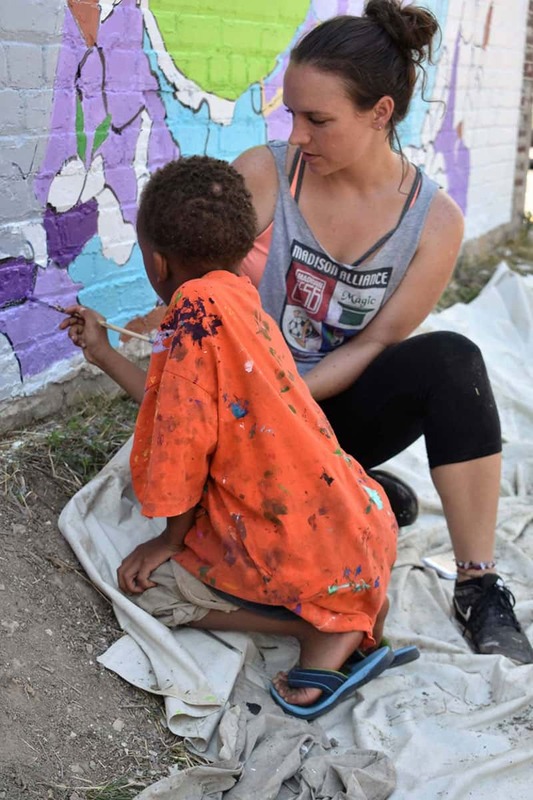 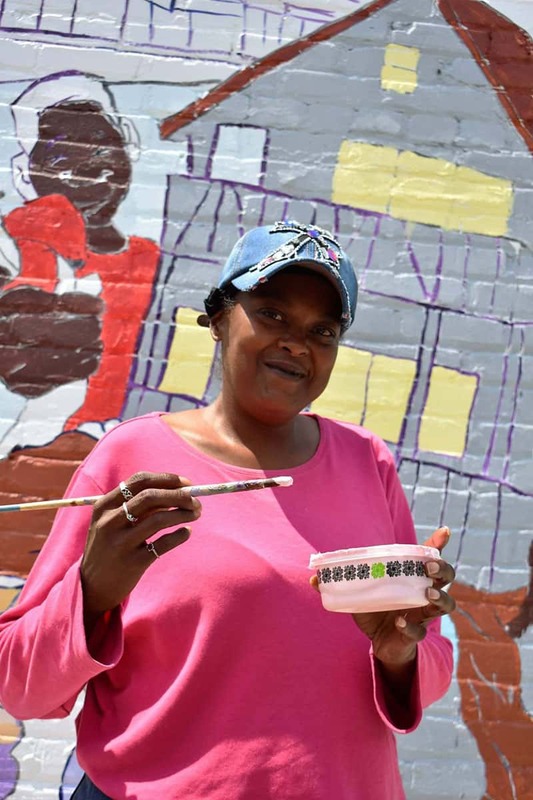 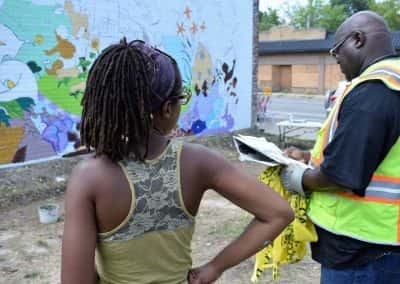 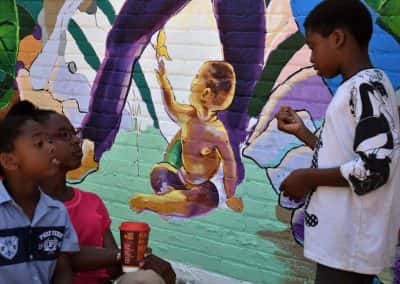 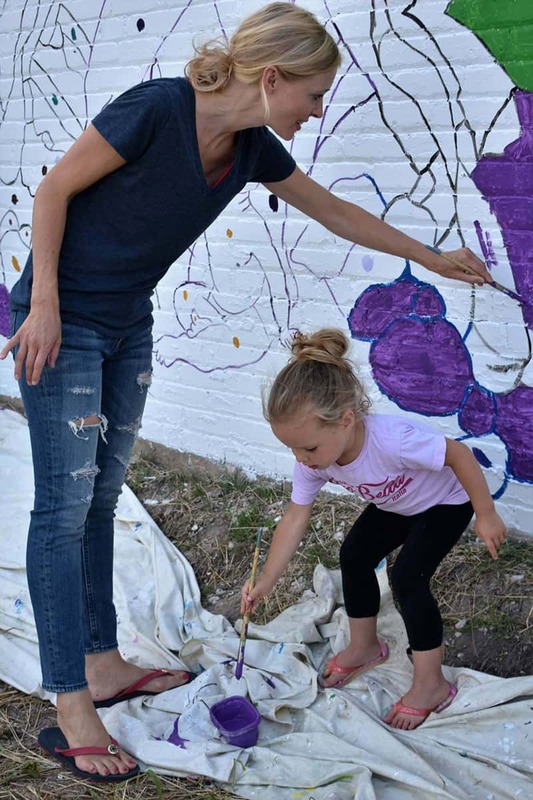 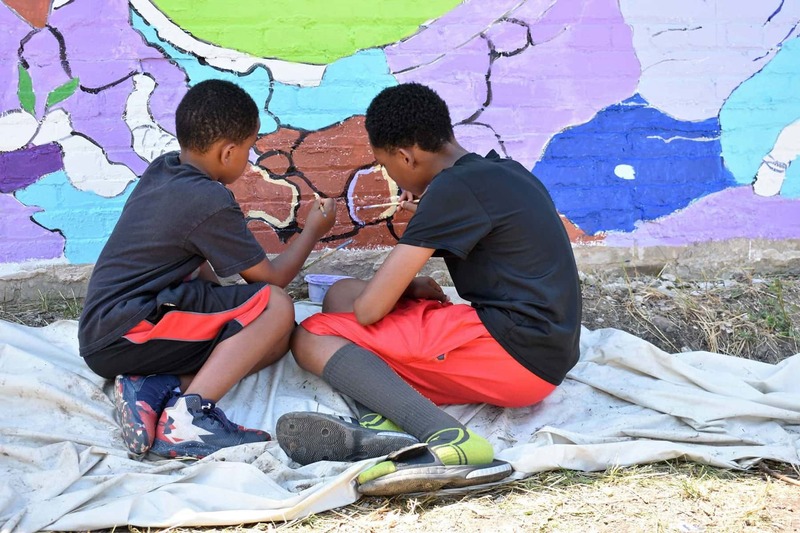 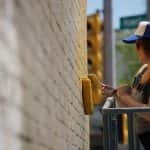 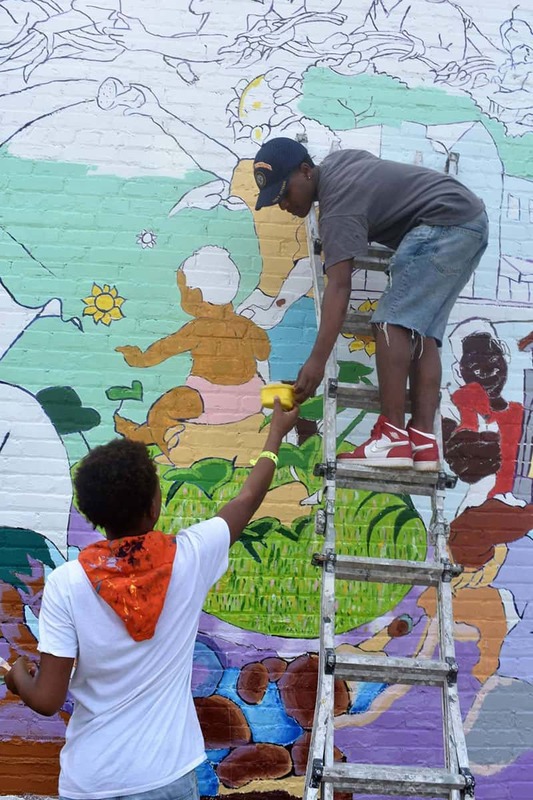 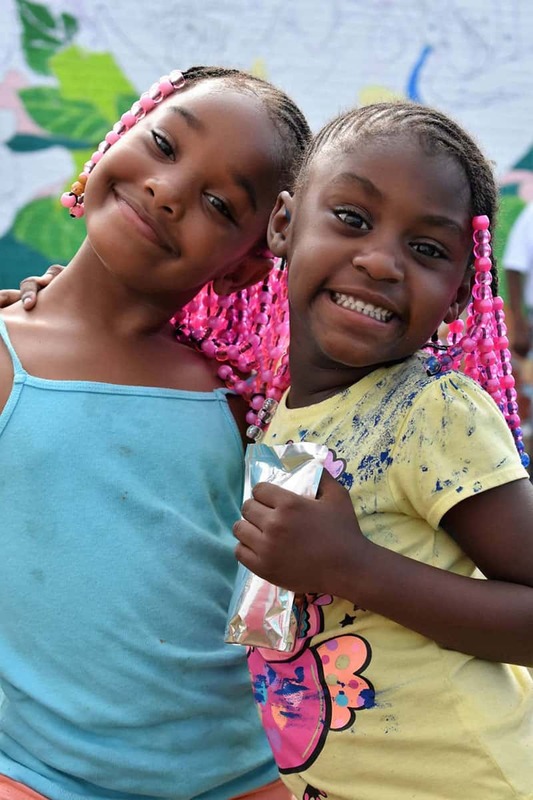 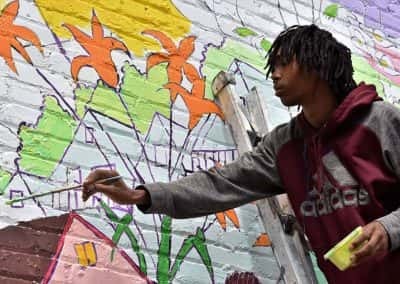 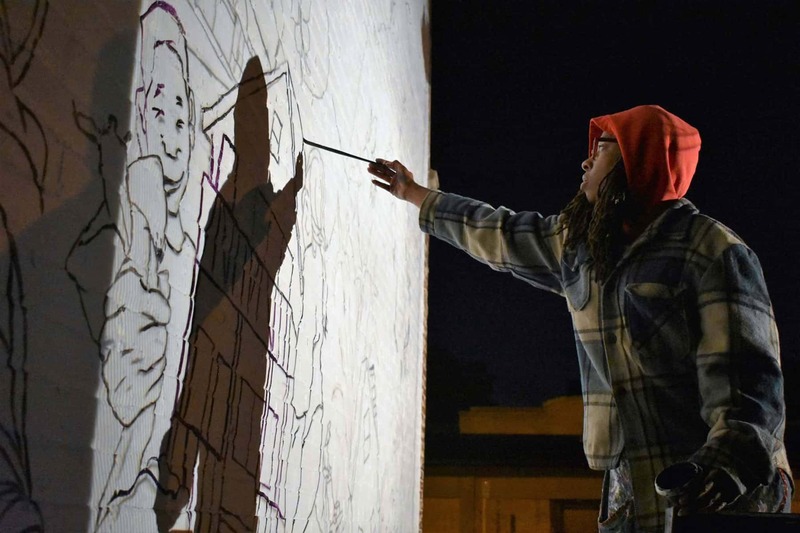 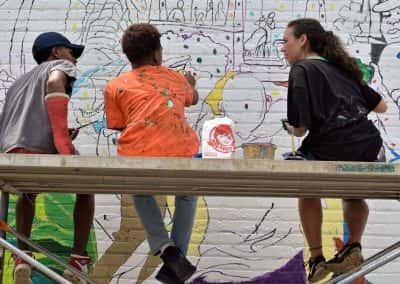 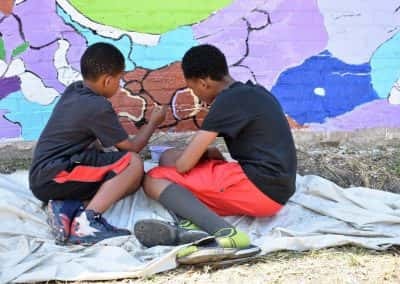 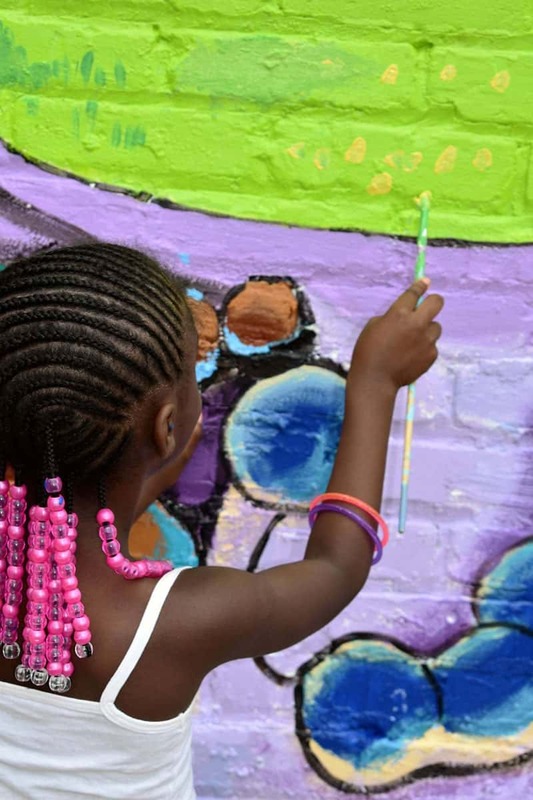 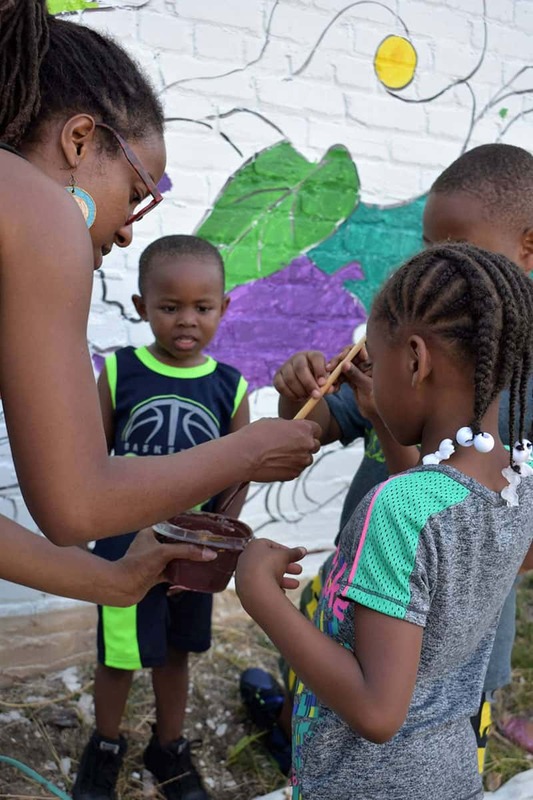 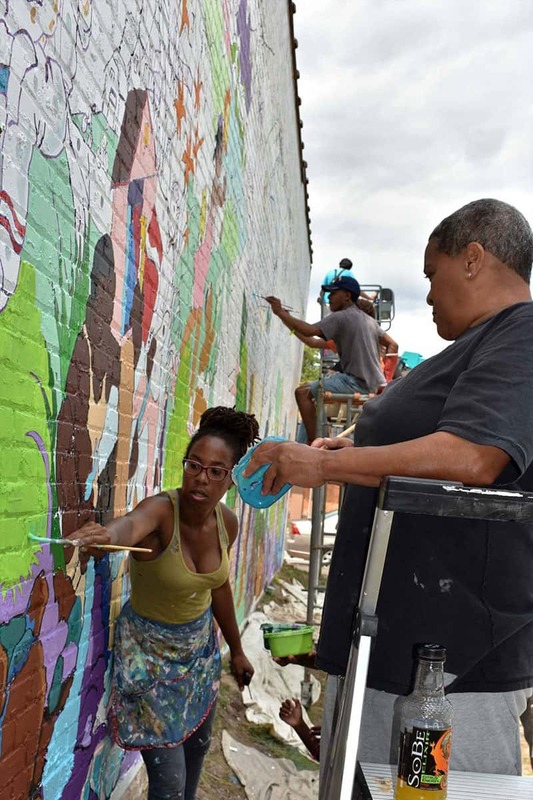 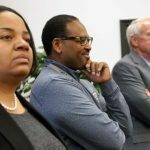 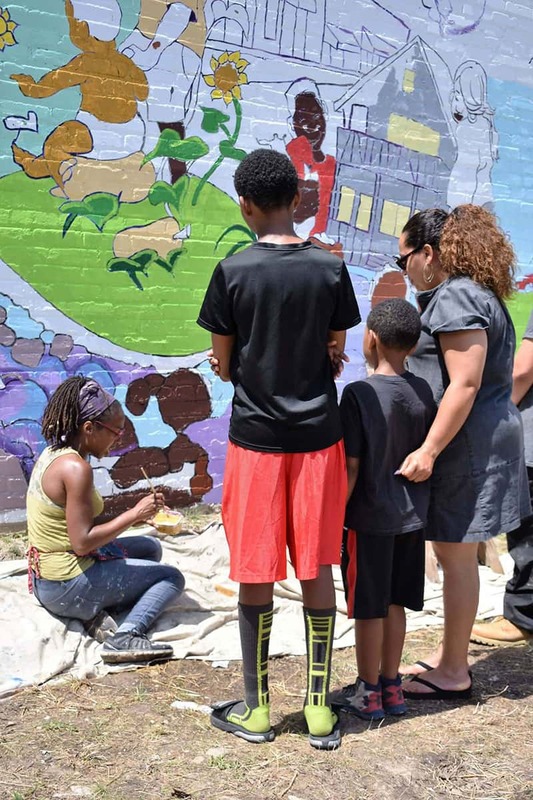 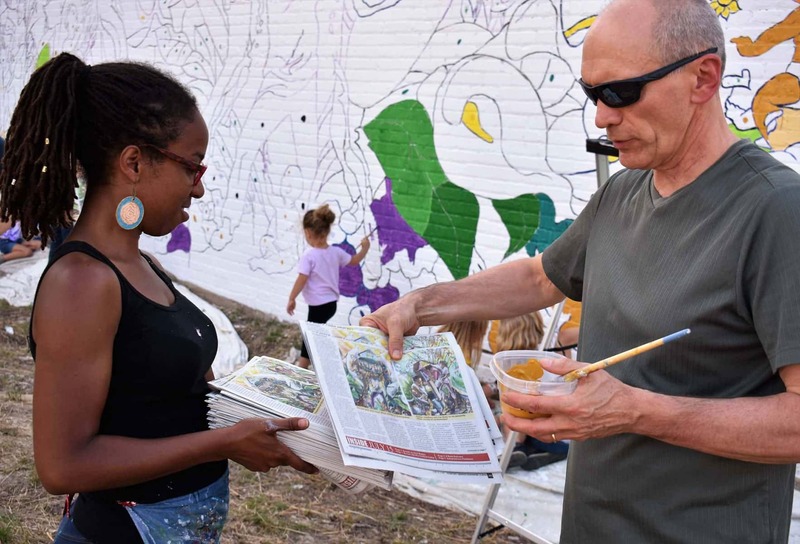 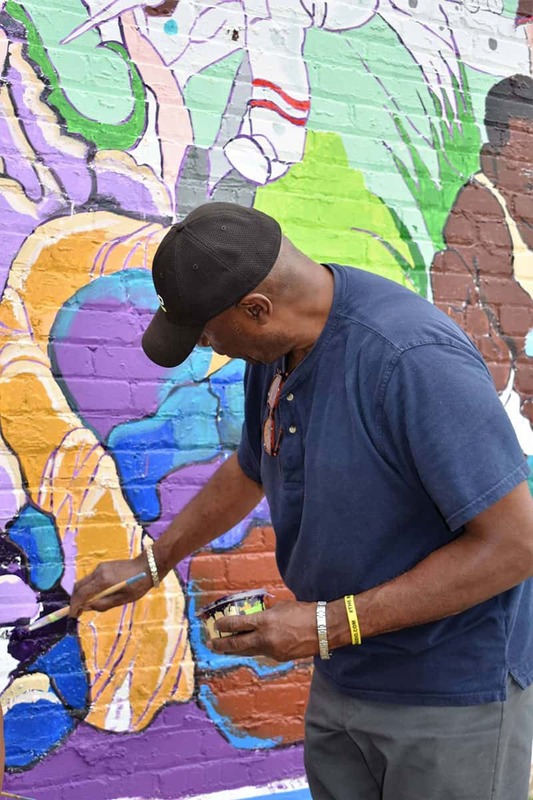 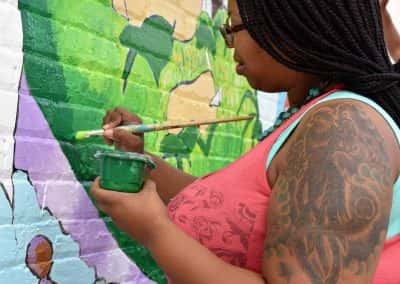 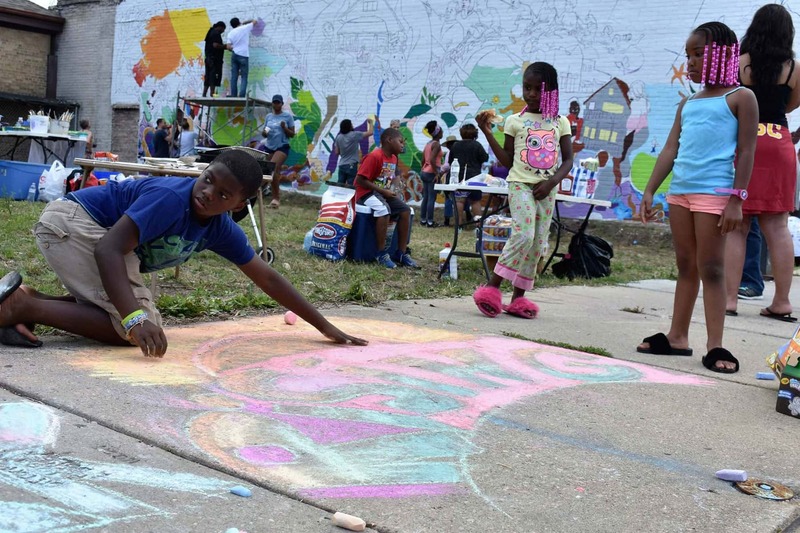 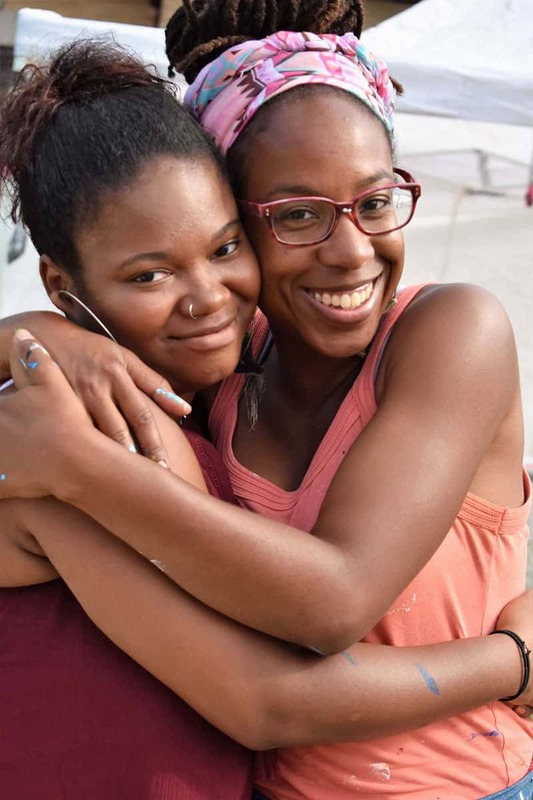 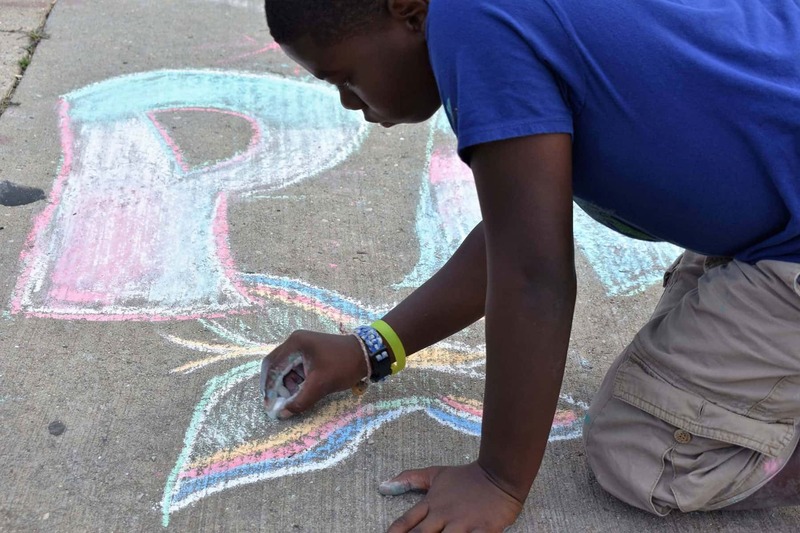 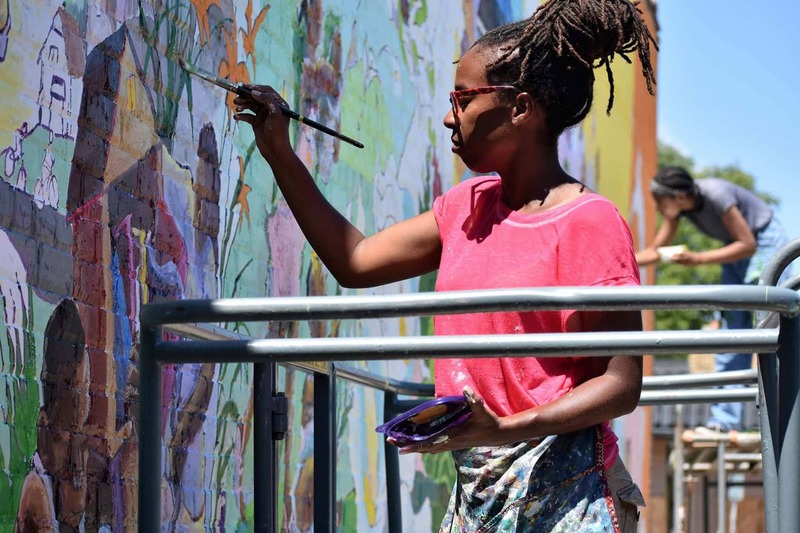 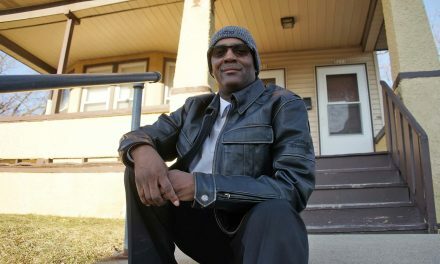 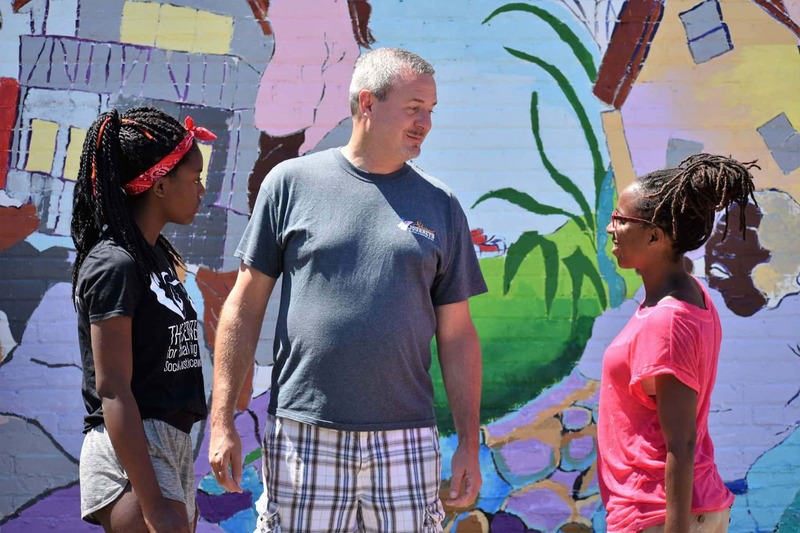 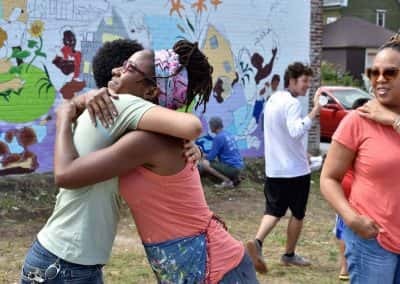 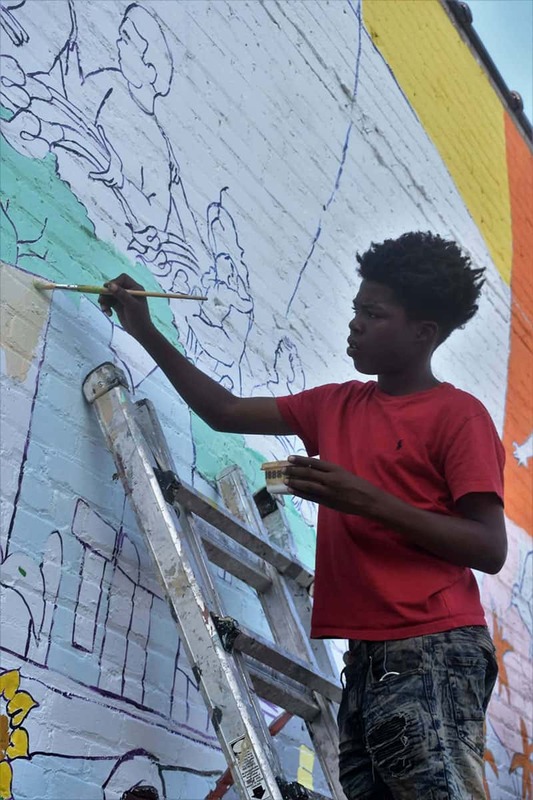 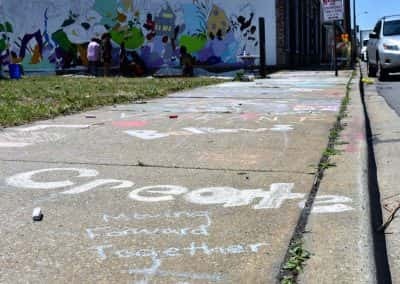 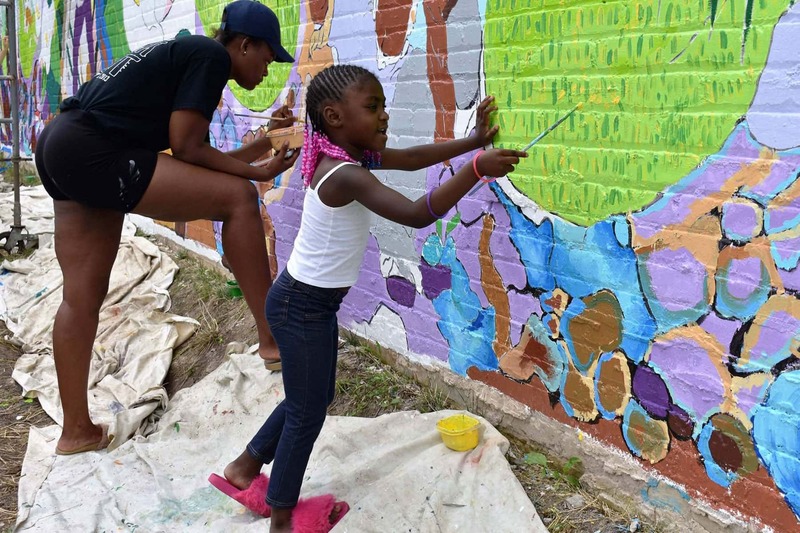 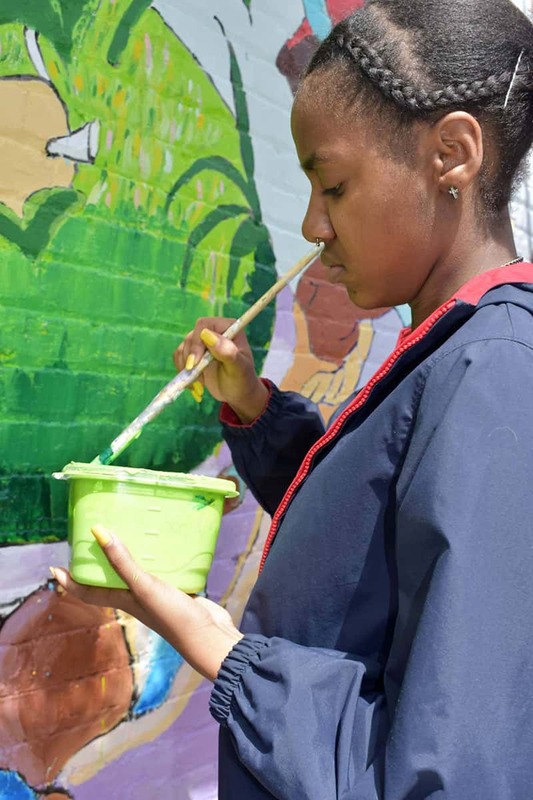 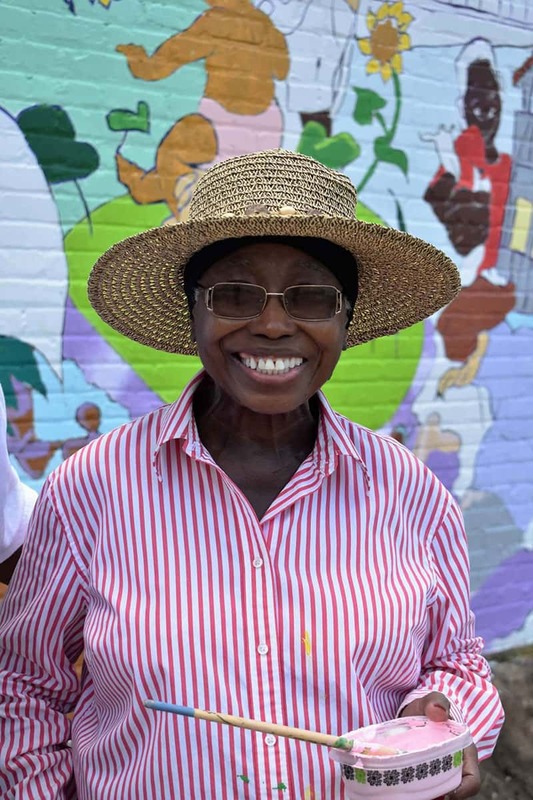 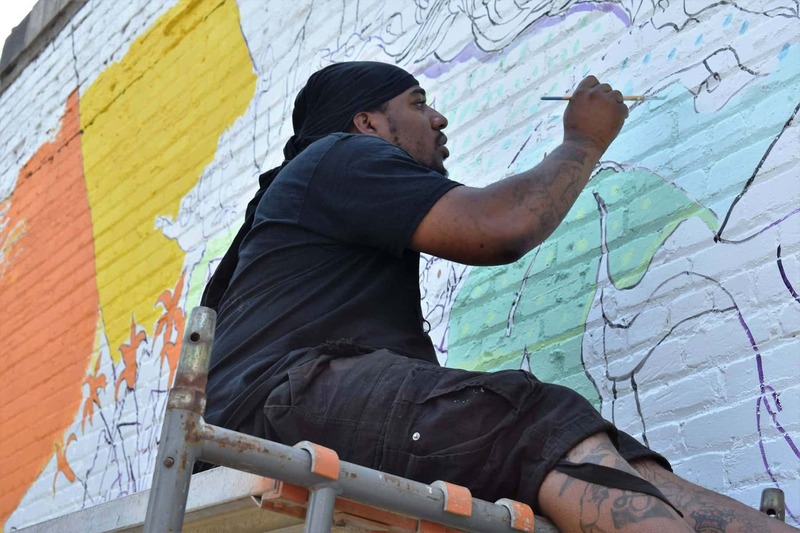 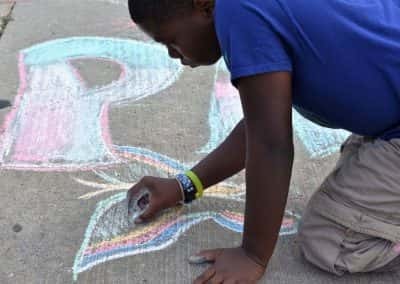 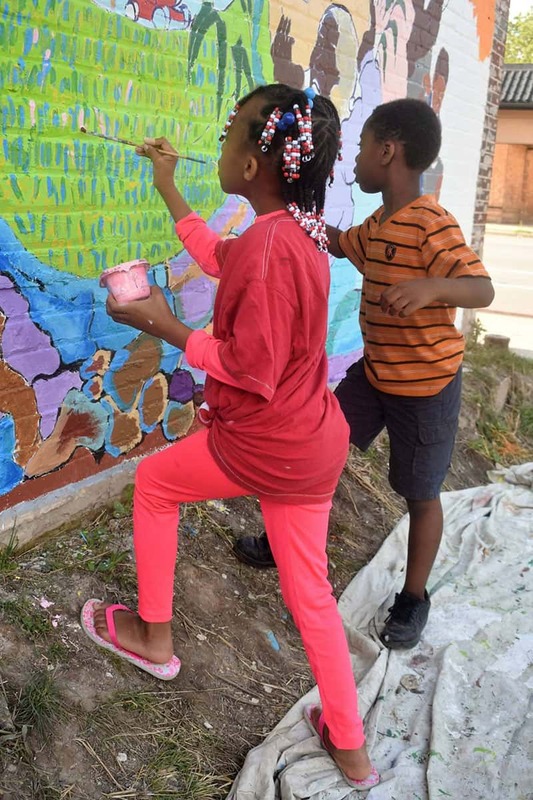 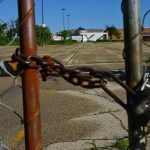 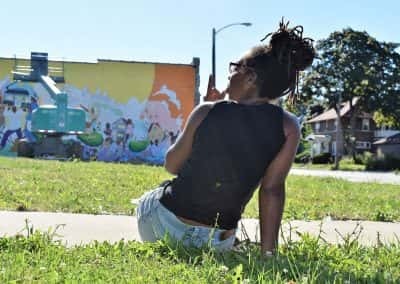 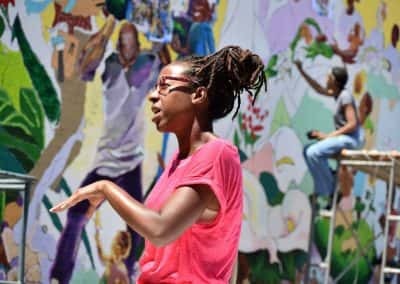 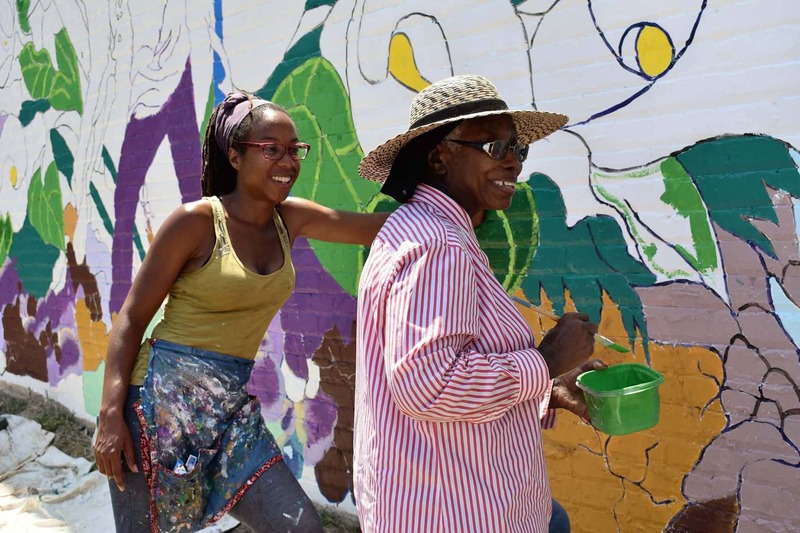 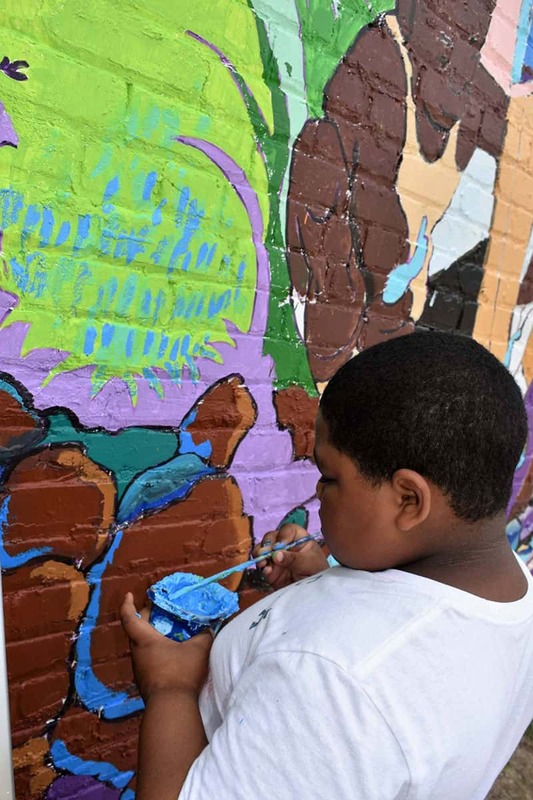 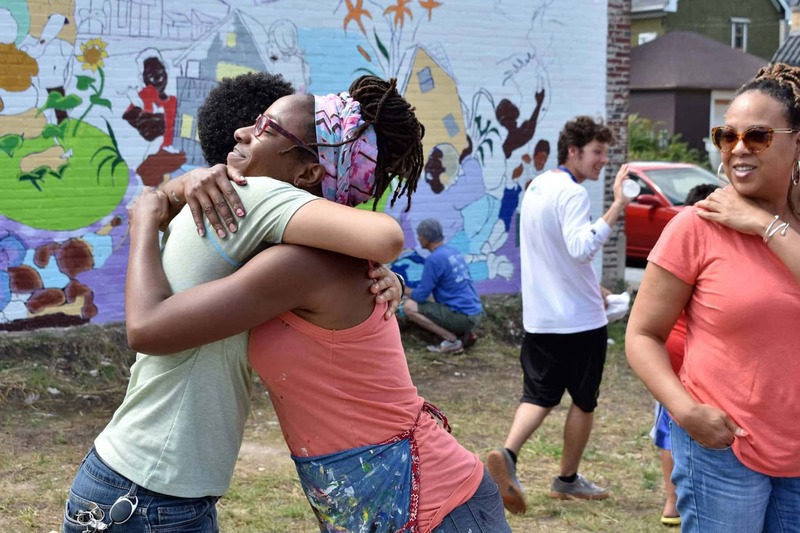 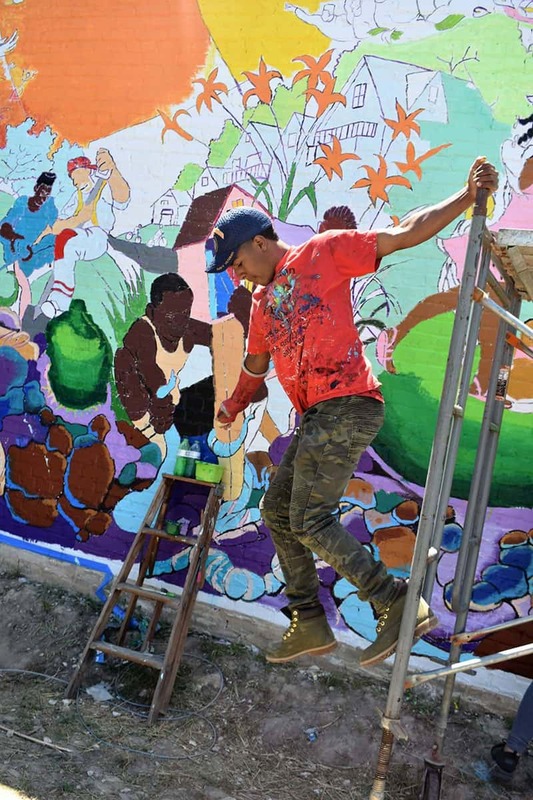 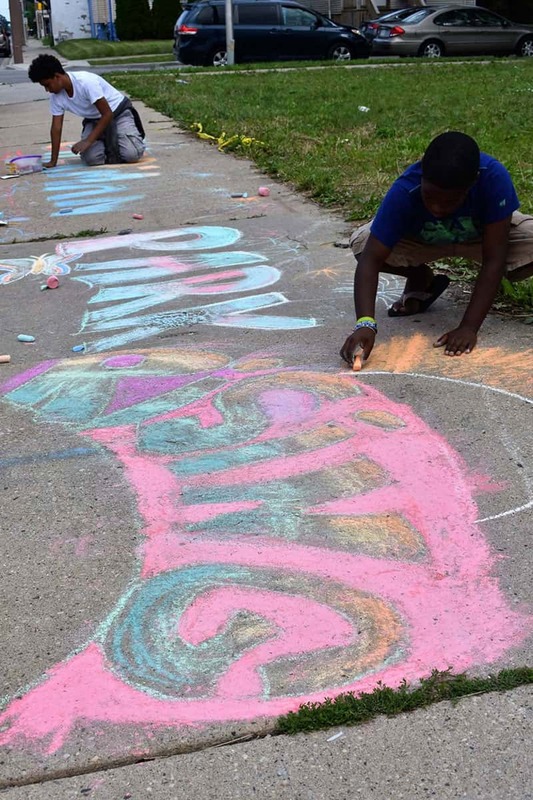 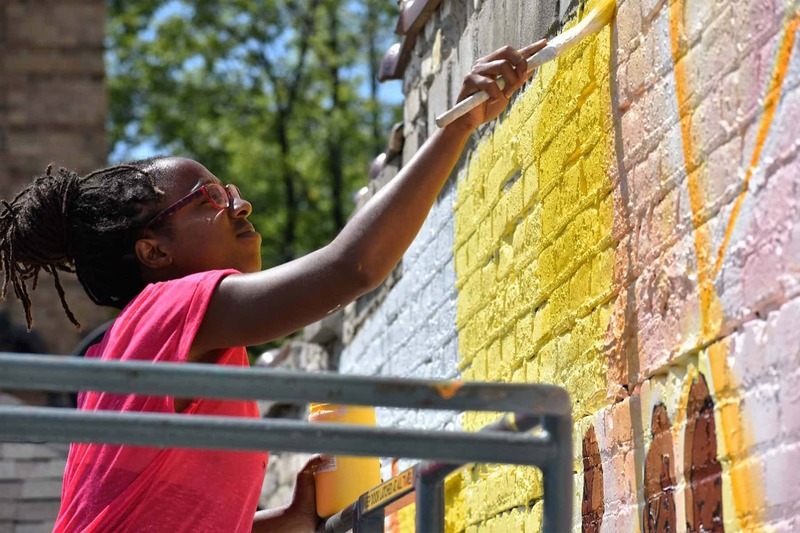 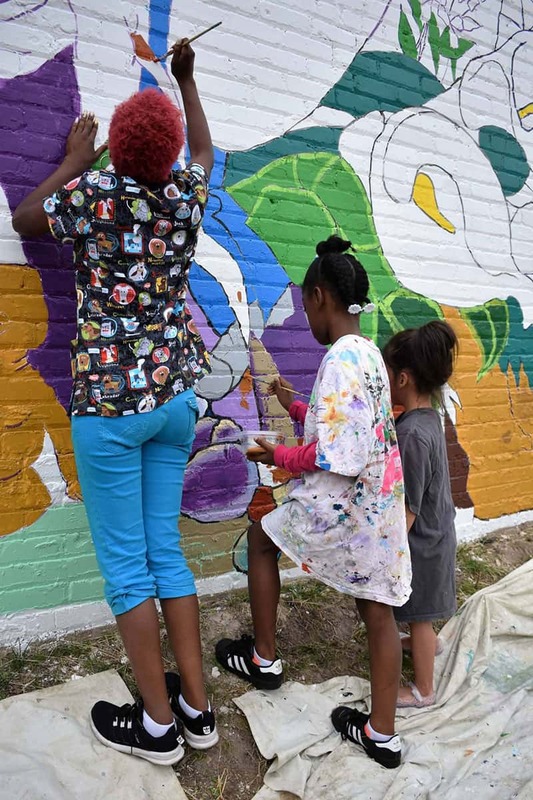 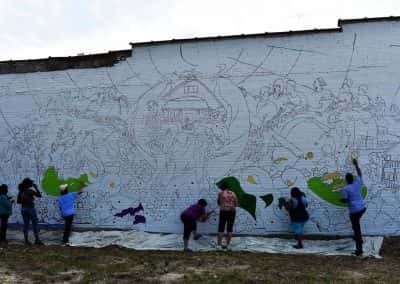 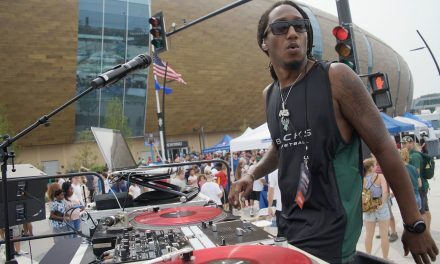 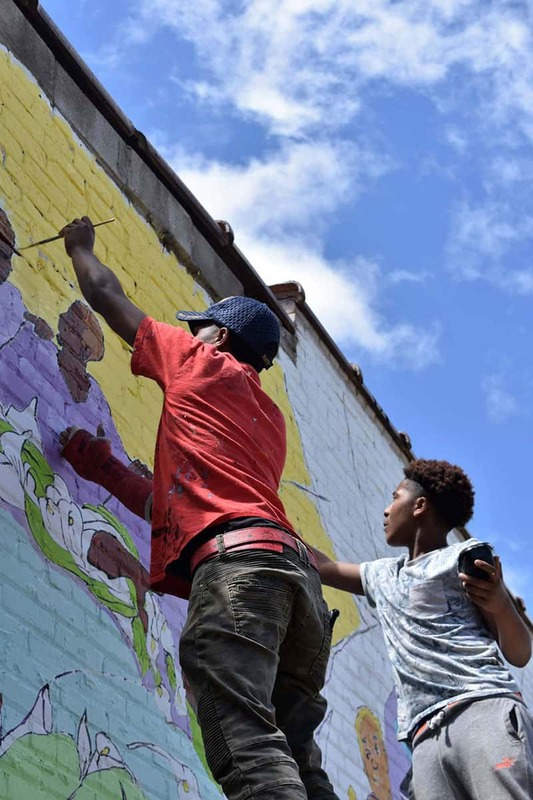 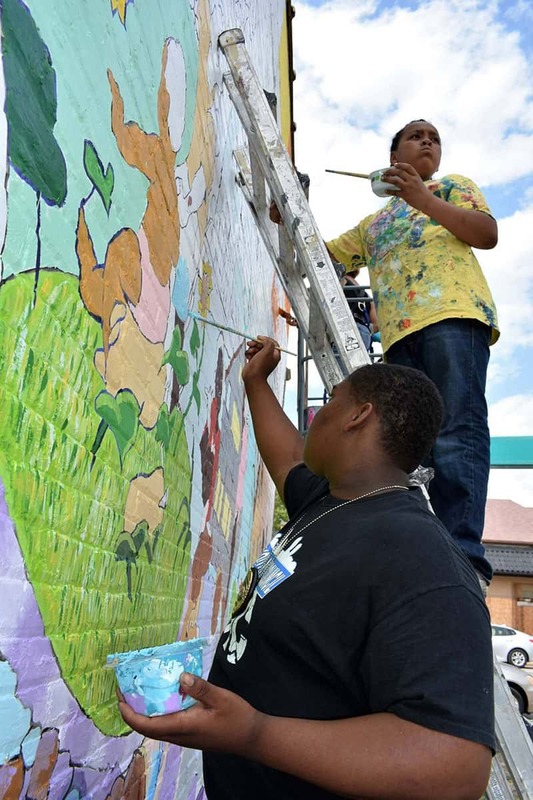 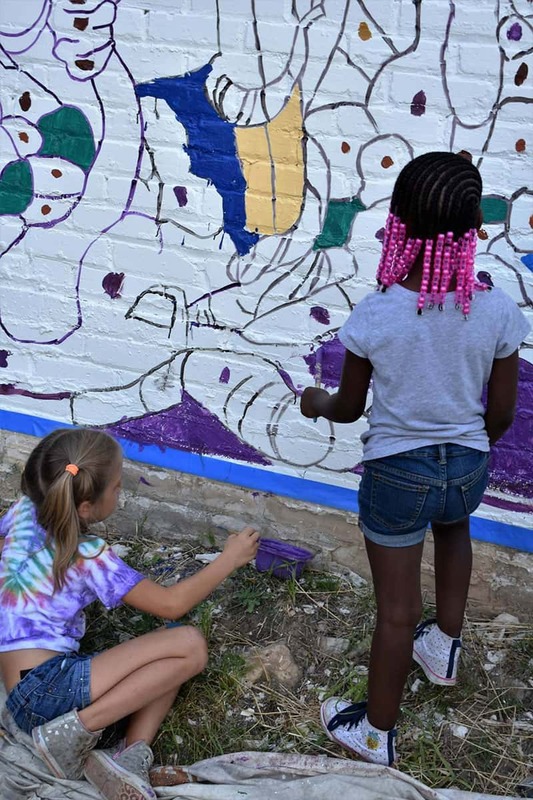 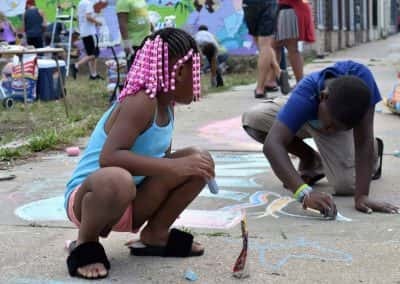 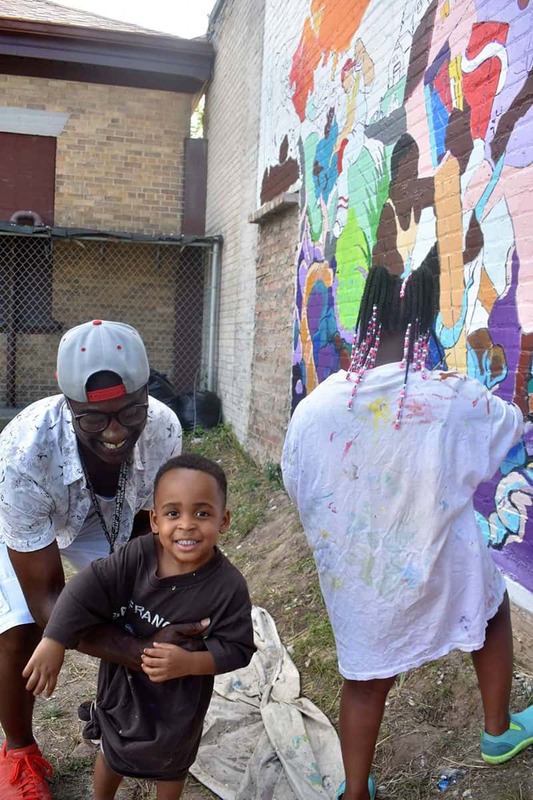 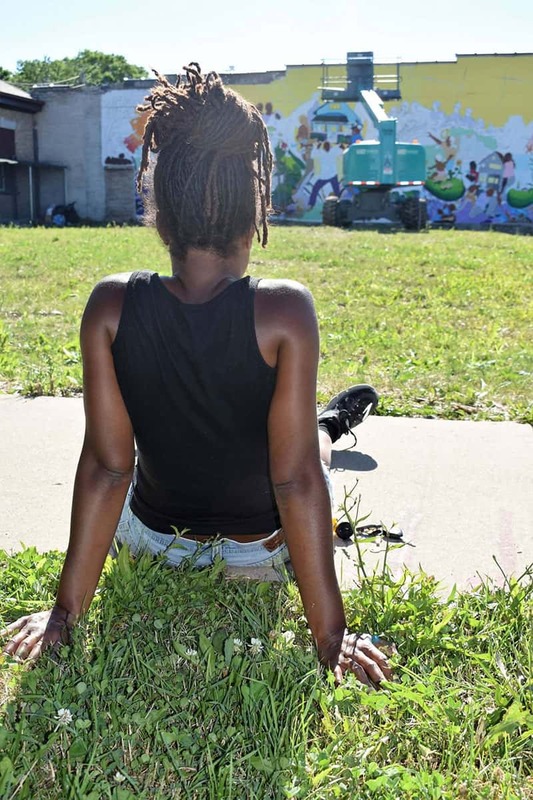 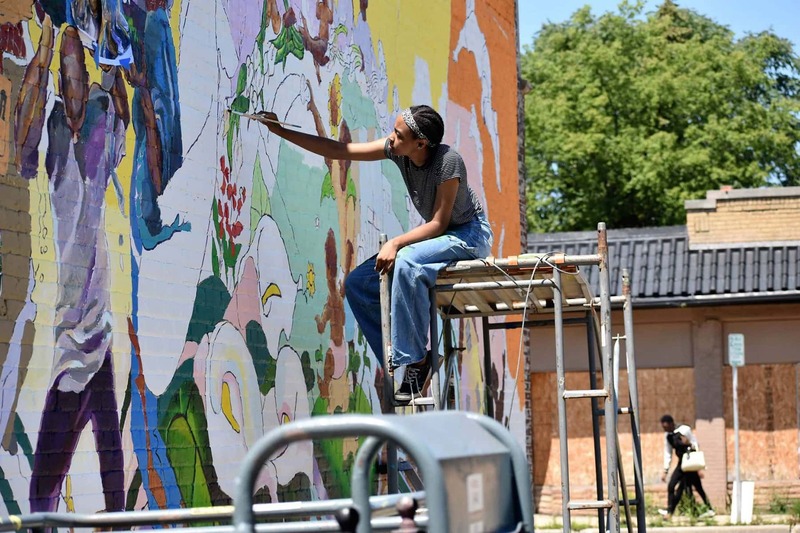 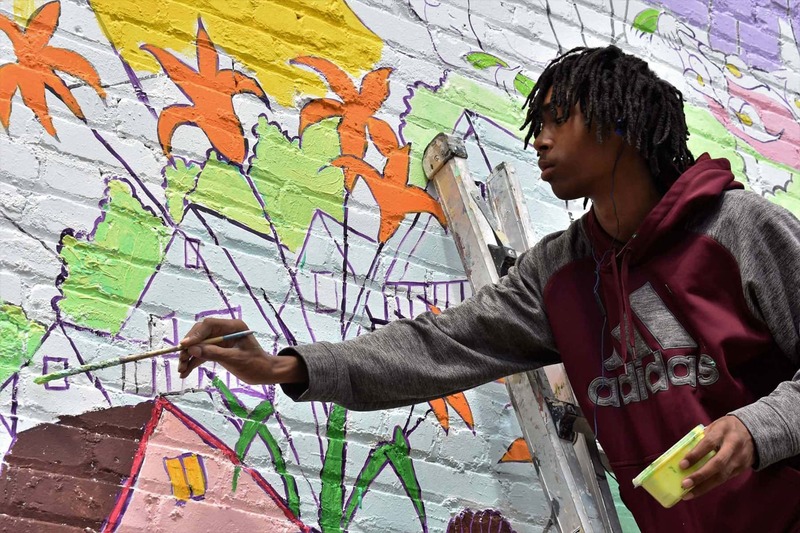 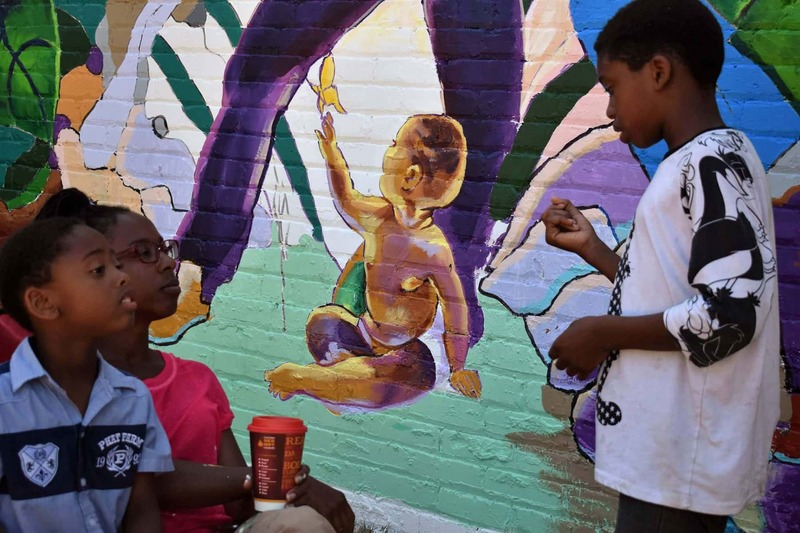 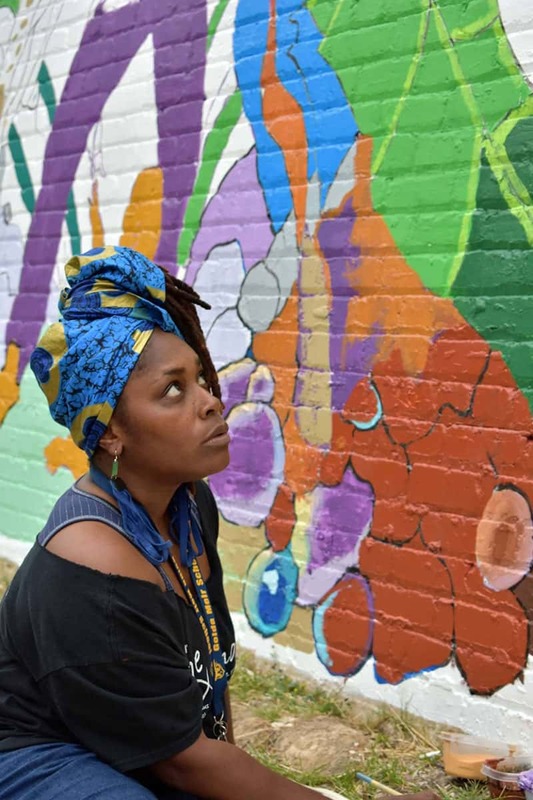 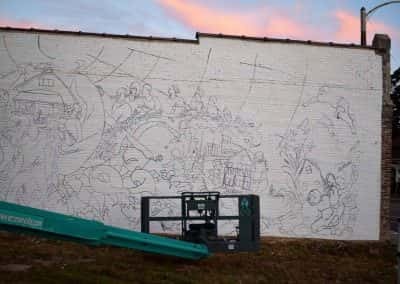 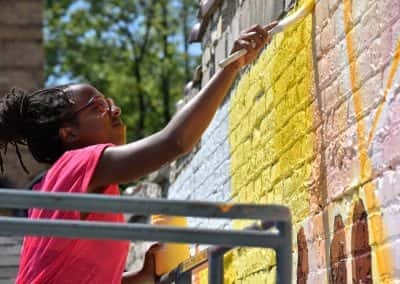 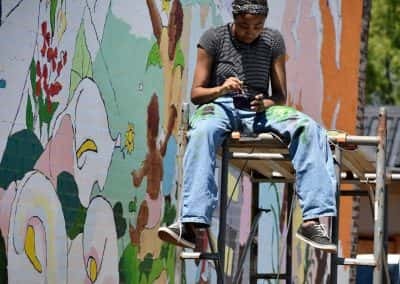 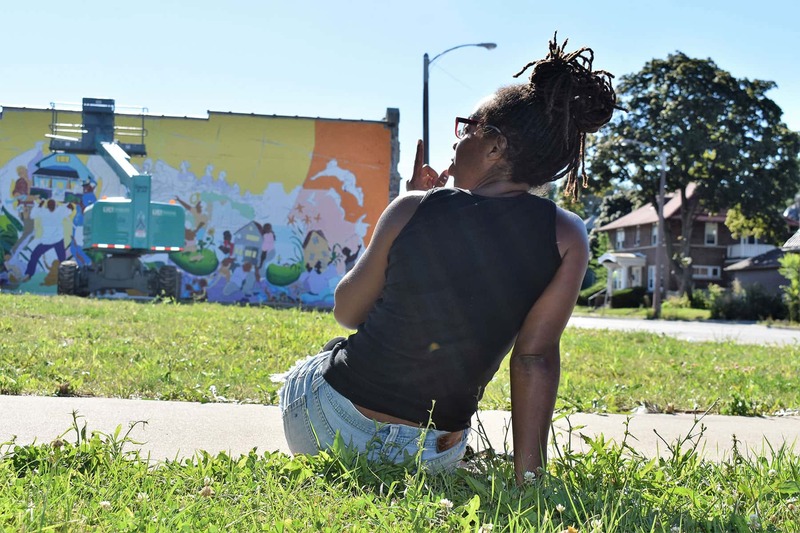 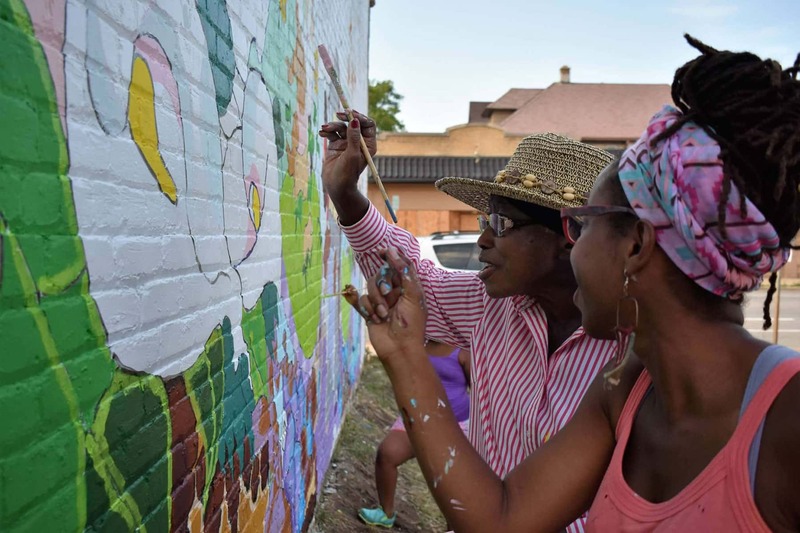 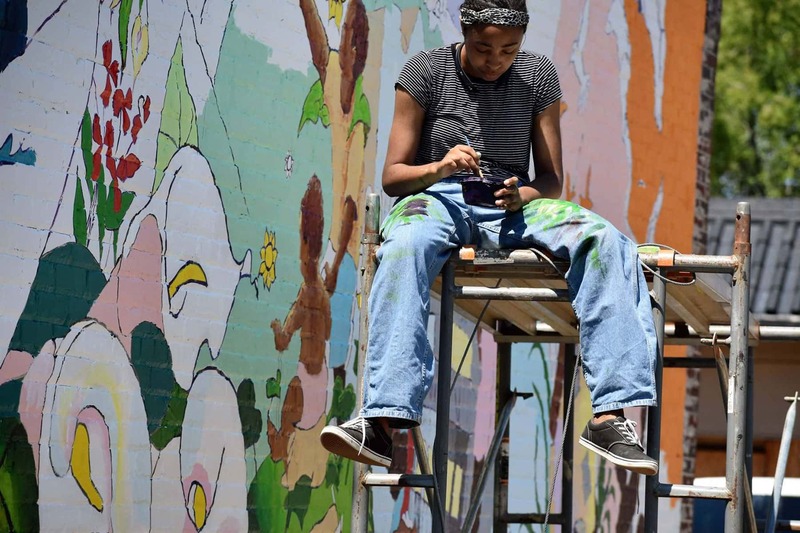 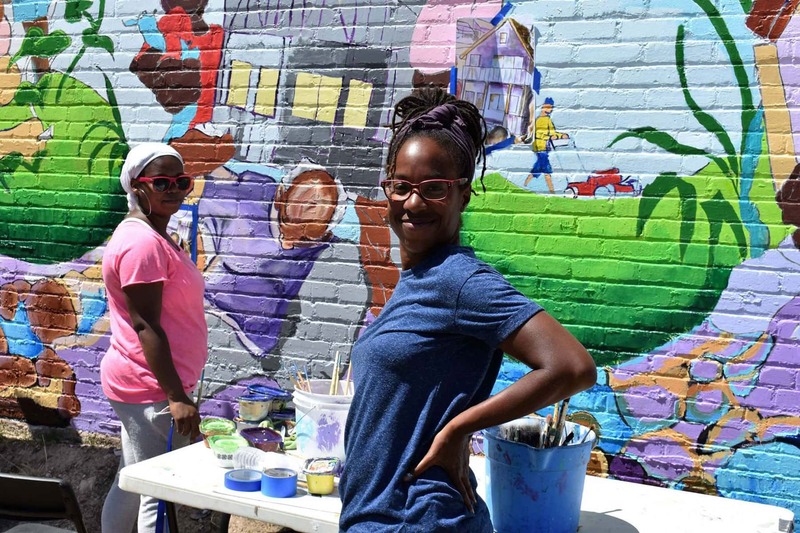 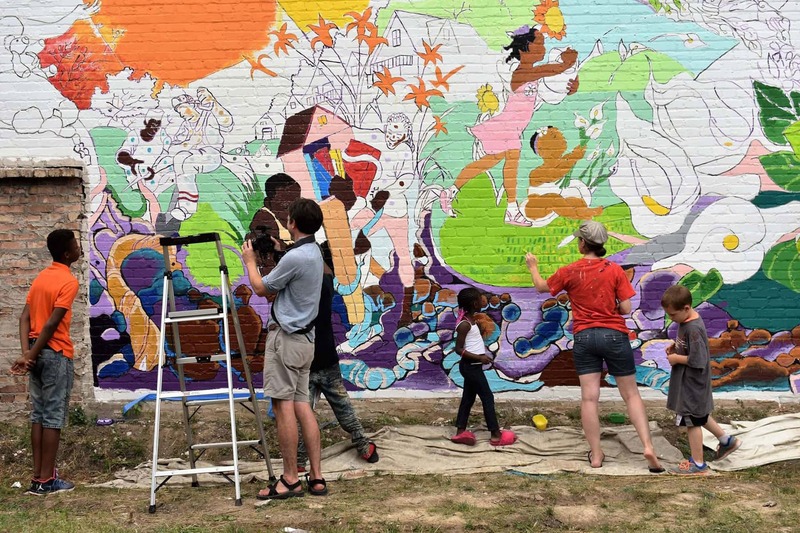 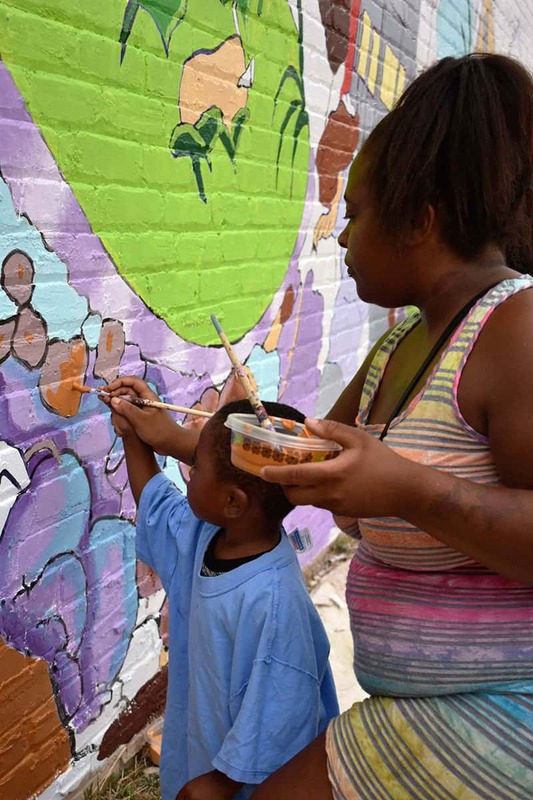 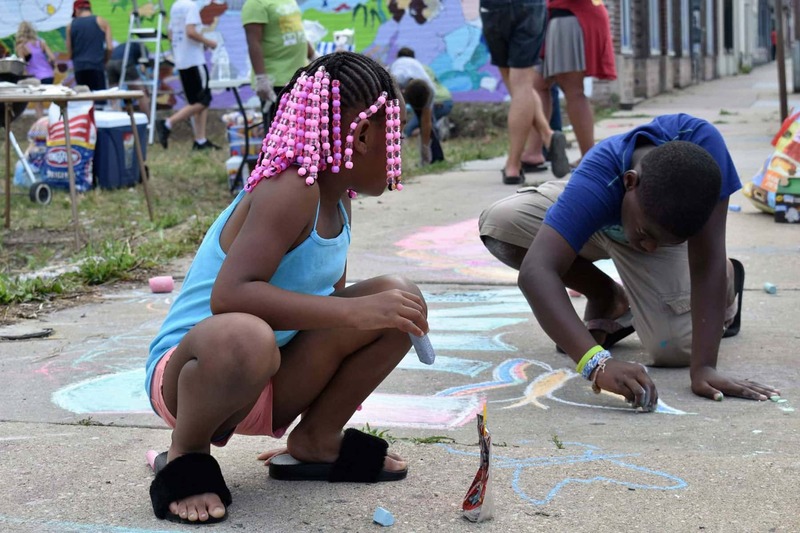 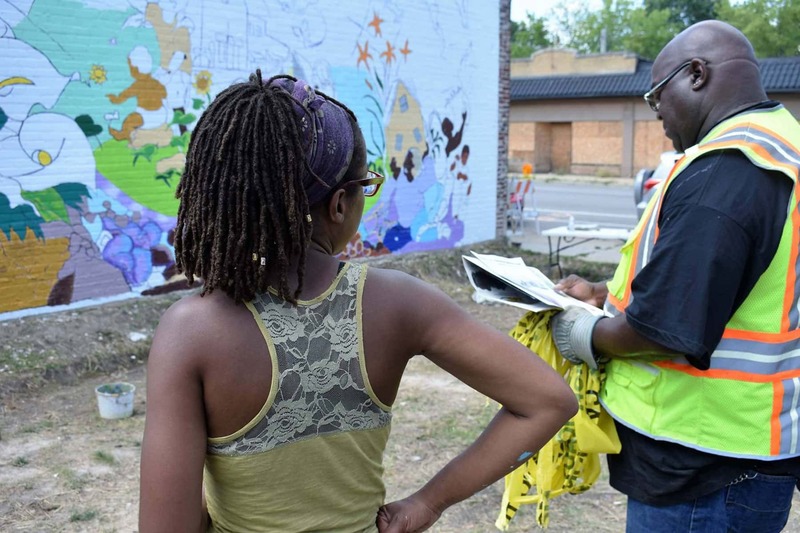 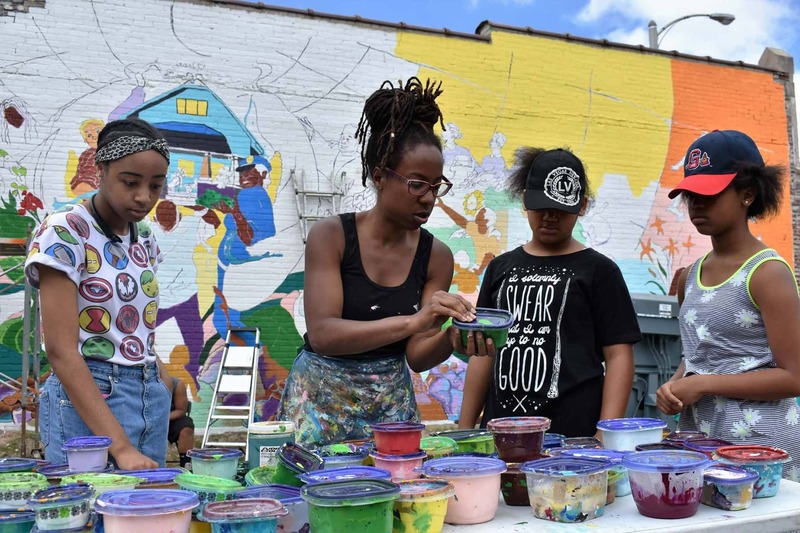 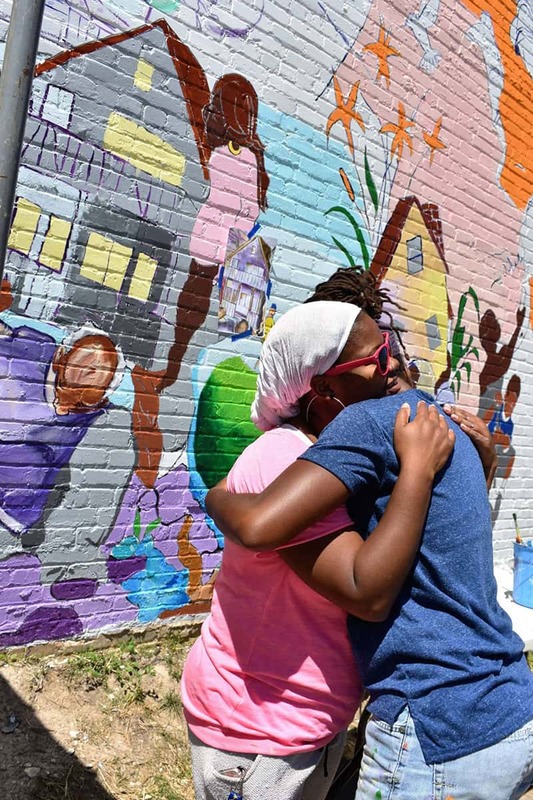 Photojournalist Nicholas Hansen documented the community participation in Tia Richardson’s “Sherman Park Rising” mural project over multiple days, from July 19 to 23, that took place on a brick wall adjacent to the corner of 48th and Center Streets. 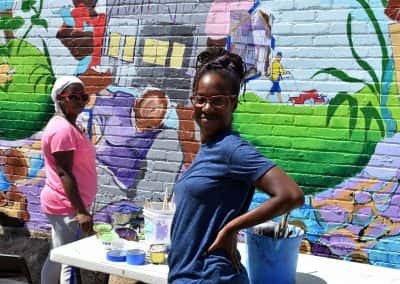 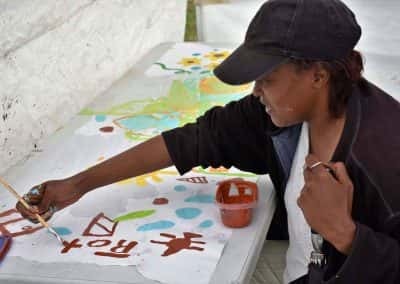 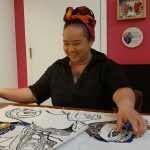 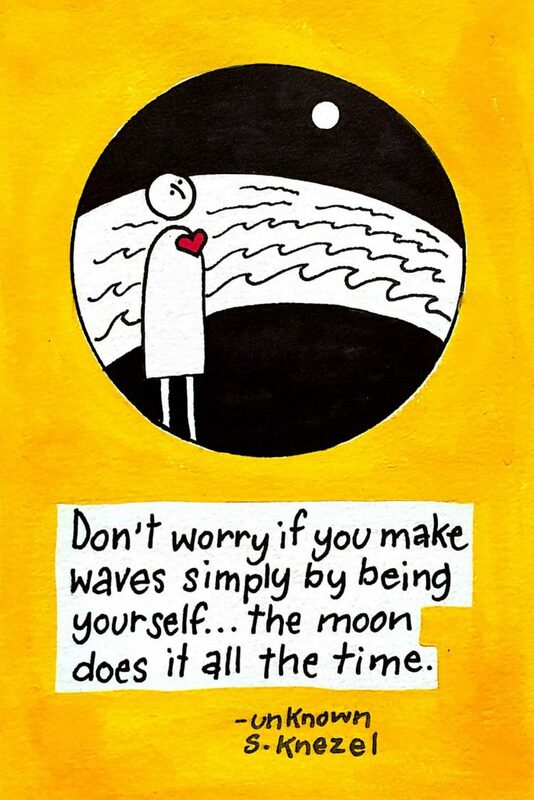 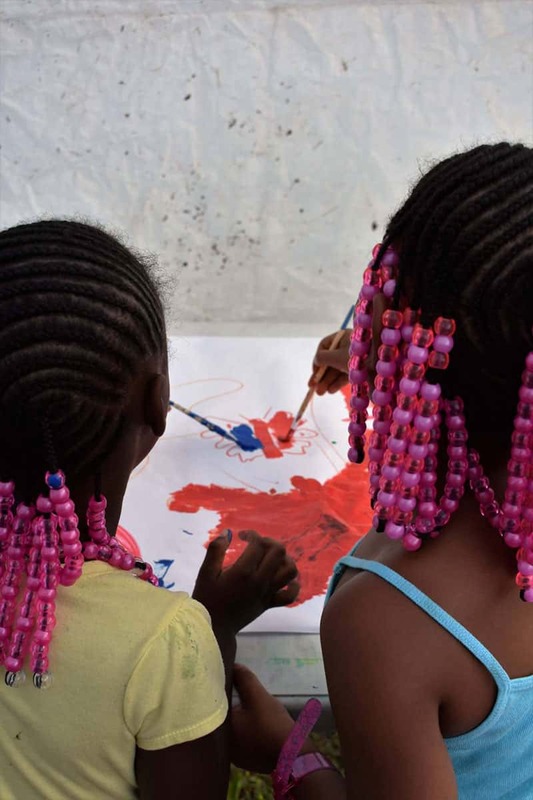 Tia Richardson has used collaborative murals as a tool to build empathy and connection among the groups. 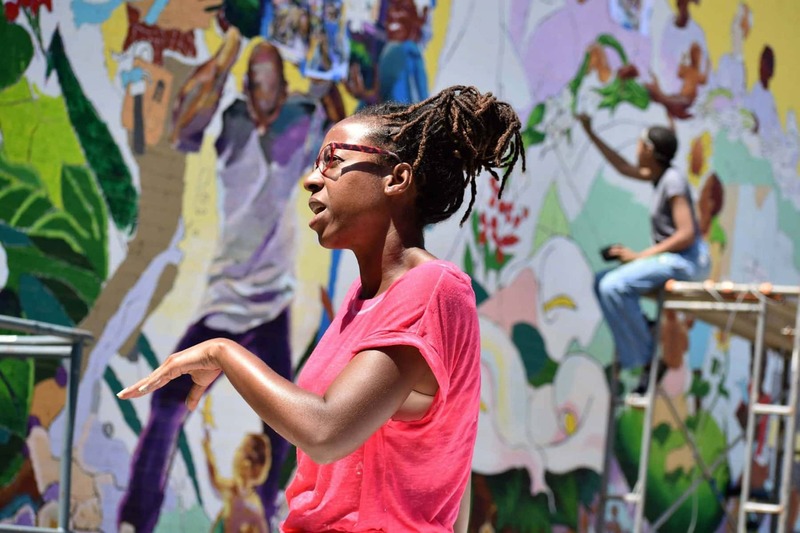 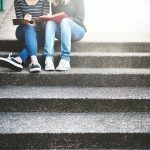 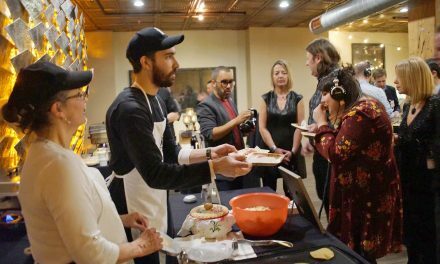 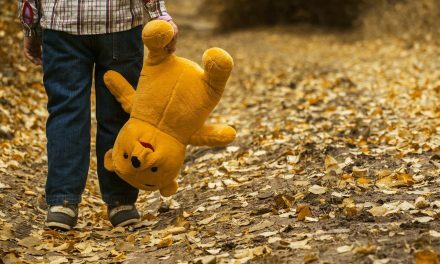 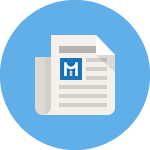 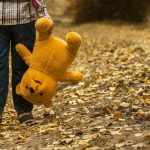 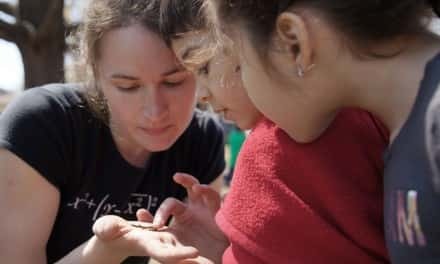 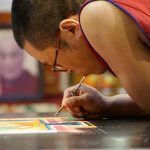 Her holistic approach combines a variety of methods for sharing stories that foster trust and collaboration. 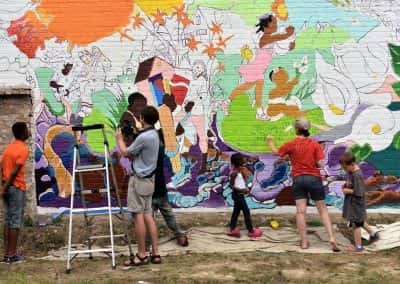 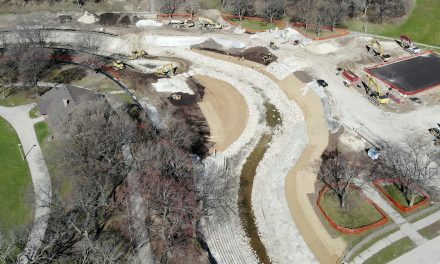 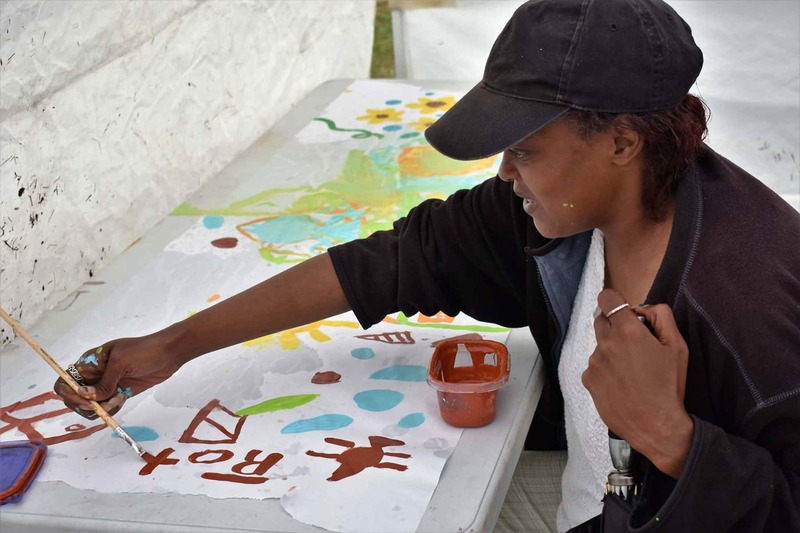 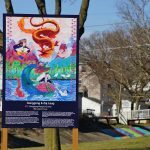 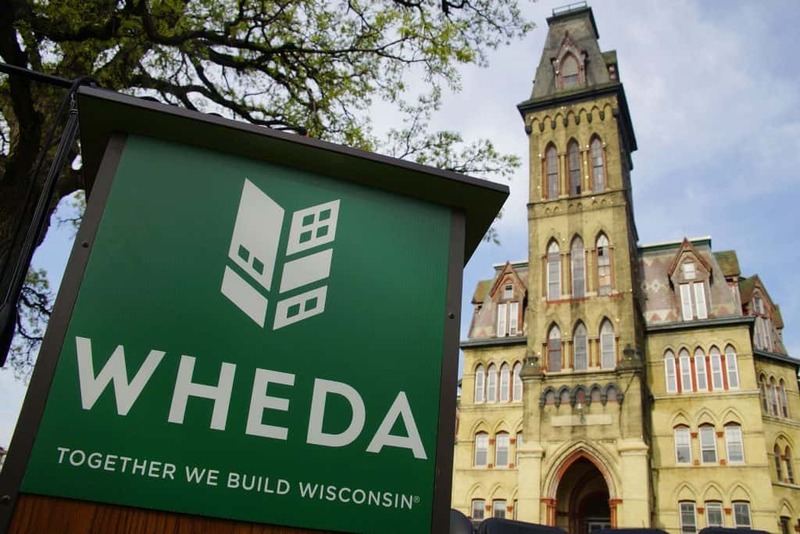 The purpose of the 17’ x 56′ mural was to acknowledge the ongoing efforts by area residents to improve the Sherman Park neighborhood, which began many years prior to the August 13, 2016 unrest. 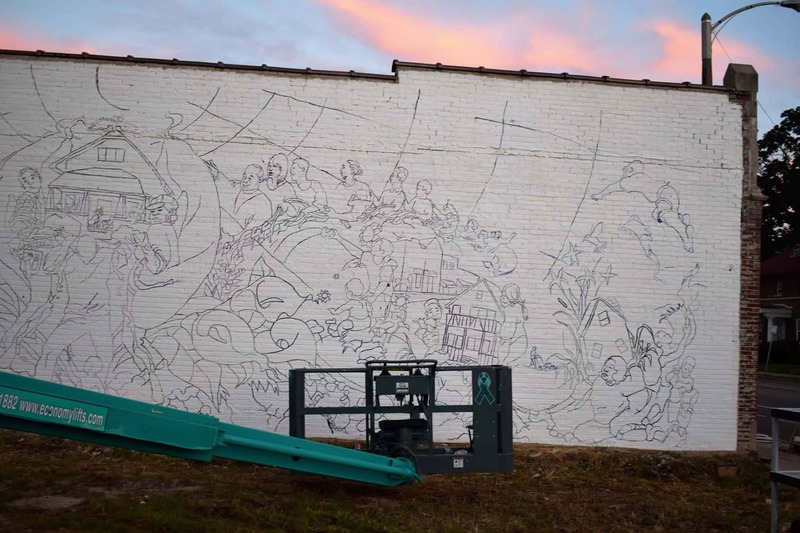 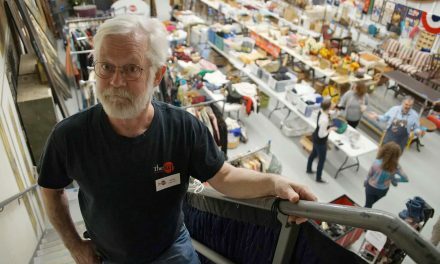 These images recorded the mural creation process, along with noted observations by Hansen from the perspective of his involvement around the project.